Latest peer reviewed research determines that recent sea level rise along the coasts of northern Europe and the English Channel are within historical bounds experienced during the 19th and earlier 20th century periods. Per the scientists from Australia, France, Germany, the Netherlands and the United Kingdom, the actual empirical evidence points to a potential sea level rise by 2050 AD of 2.1 inches for the North Sea coast and 1.6 inches for the English Channel. "In light of the findings of the international team of scientists participating in this significant study, it would appear that there is nothing unusual, unnatural or unprecedented about the rate of sea level rise throughout both the North Sea and the rest of the Global Ocean over the entire CO2-emitting course of the Industrial Revolution." 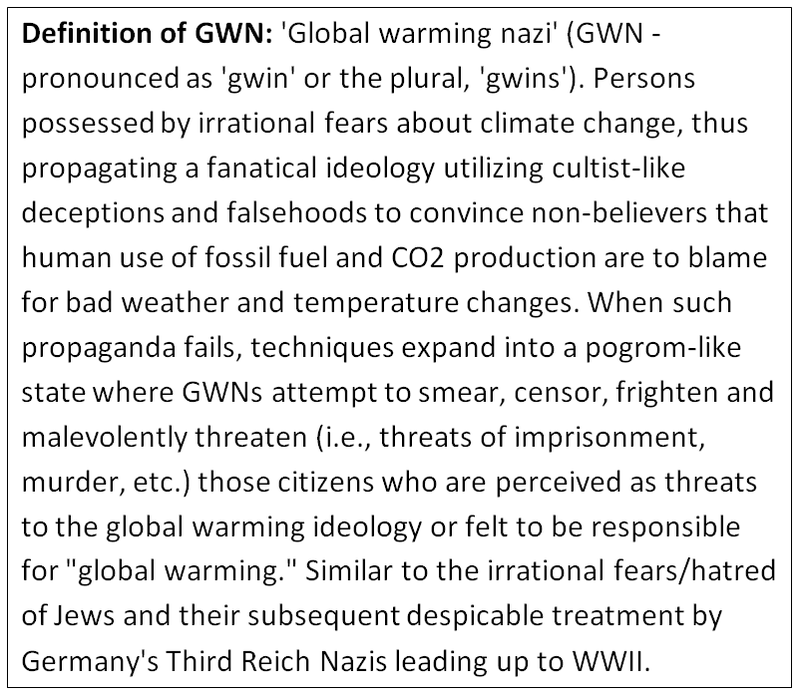 In summary, this study does not support the irrational, unsubstantiated current claims and predictions of sea level increases made by prominent GWN's who rely on projections from the discredited climate models. The recent and past sea level increase facts reveal the totally absurd and irresponsible, anti-science speculations of 36 to 120 inch rise for coastal waters. Previous sea level articles and charts. Climate FactCheck: Exactly How Much Did The Democrats' 'Cash-for-Clunkers' Reduce Global Warming? The Democrats' 2009 plan to stop global warming, and stimulate the economy at the same time, turned out to be a major flop on all fronts. This article provides a synopsis of the failed "clunkers" economic stimulation; this PDF provides a detailed 41-pages of analysis. Regarding the impact on global warming, we need to turn to the math to assess the infamous "clunker" program. First, from Wikipedia we know there are an estimated 270 million U.S. passenger vehicles as of the end of 2013. Next, from the EPA we know the average U.S. vehicle emits some 4.75 metric tonnes of CO2 per year. Using these two factoids, we can do the multiplication and determine that a year's worth of auto CO2 emissions would weigh-in at approximately 1,282,500,000 tonnes. That's a lot (1.3 billion tonnes 'a lot'). But would it affect global warming if the U.S. were to ban all passenger vehicle driving for a year and elimanate all those tonnes in one fell swoop? The simple 'C3' estimating tool provides the answer to that. Observe the global warming impact that has a green square drawn around it in the above image - the temperature impact is zero. Regarding the 'cash-for-clunkers' program, there were a total of 660,000 clunkers disposed of, and for our math, we assume that they spewed twice the amount of CO2 - 9.5 metric tonnes per year instead of 4.75. When the multiplication is completed, it means the "clunkers" total CO2 emissions removed from the road came to 6,270,000 tonnes (millions, not billions). What would happen to global warming if the Democrats ran the 'ClunkerCare' program each of the next 20 years and never allowed a single replacement of the junked, CO2 belching jalopies with newer, more efficient cars? Again, the 'C3' estimating tool provides the answers, which are the resulting numbers with a cyan circle around them on the above image. Whoo-wee...it's zero impact again, even after 20 years of ClunkerCare. Hey, did we mention progressive quacks yet? Democratic anti-science? Previous articles on quackery from politicians: light bulbs and plastic bags.